ANNE FRANK’S STEPSISTER has compared Donald Trump to Adolf Hitler. 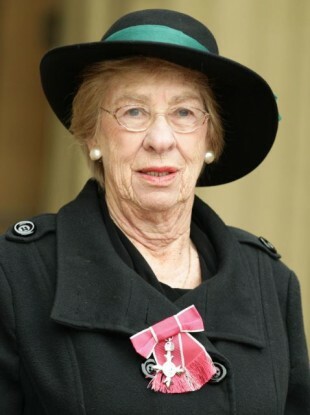 Eva Schloss, whose mother married Frank’s father, is an Auschwitz survivor. The 86-year-old made the comments in an interview with Newsweek to mark Holocaust Memorial Day. Schloss compared the experience of Jewish people in WWII to that of Syrian refugees today, saying she is “depressed” by the fact people “haven’t really learnt anything”. She continued by saying the problem extends beyond Europe, stating that if Trump became US President it would be “a complete disaster”. I think he is acting like another Hitler by inciting racism. During his US presidential campaign he has suggested the “total and complete shutdown of Muslims entering the United States”, as well as pledging to build a wall between the US and Mexico to keep illegal immigrants out. Trump is the frontrunner for the Republican US presidential nomination. “The situation today is worse than it was under Hitler because at that time all the Allies — the US, Russia and Britain — worked together to combat the terrible threat of Nazisim. If we don’t work together, the world will never be able to resolve the threats it faces today,” Schloss added. She compared European countries closing their borders to the erection of the Berlin Wall in 1961. Email “Anne Frank's stepsister compares Donald Trump to Hitler ”. Feedback on “Anne Frank's stepsister compares Donald Trump to Hitler ”.